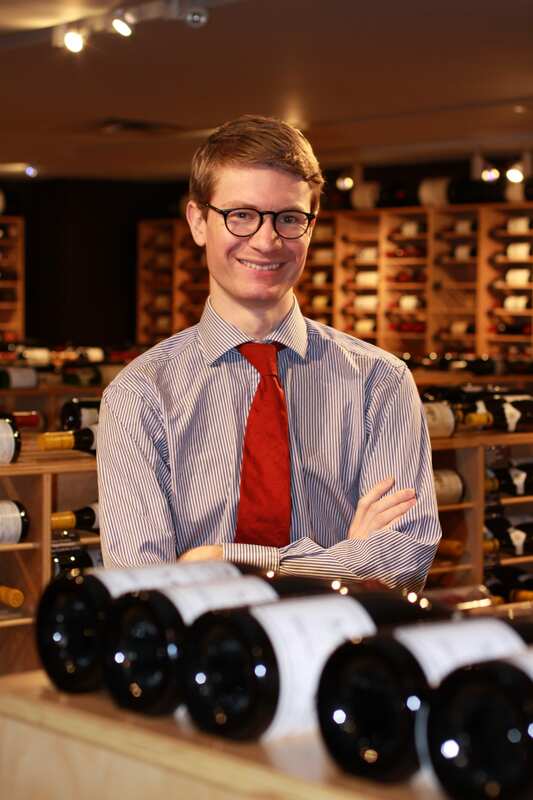 Dr Nicholas Jackson has a PhD in Theology and Literature from Cambridge and is now a Wine Buyer for Sotheby’s Wine in New York. Nicholas kindly took time out from wine tastings (!) to share his career journey. I am a buyer for a retail business. Specifically, I buy all the wine for Sotheby’s Wine retail store in New York. Sotheby’s is most famous for selling high value items at auction (including wine). But we also have a wine retail store, and that’s what I focus on. I select, source and ship the world’s finest and rarest wines for sale in our shop. I enjoyed academia very much but ultimately found it frustrating. I wanted to be an intellectual but academia forced me to be an academic. That’s the difference between being a thinker and a writer of footnotes (I’m exaggerating! But I always felt there was some truth in that kind of formulation!). I attended the wine society at Cambridge when in the second year of my PhD and was quickly taken with the whole world of wine. I was lucky insofar as just as my commitment to academia was wavering, this new interest came along. I started gaining professional qualifications even while still a student, and during the last year of my PhD I worked at a wine shop in Cambridge (I actually asked to work for free just to get the experience, but they insisted on paying me). I was really committed to wine when I finished my PhD; so much so that I would have been willing to work for a tiny salary if it meant working in wine. I didn’t apply for any academic positions. That refusal to equivocate made me really focus and become committed. That was invaluable. You don’t want to have any doubts when making this kind of change otherwise you’ll never do it. And I manufactured some self-confidence: I always thought someone would give me a job because I was intelligent and hard working. I wouldn’t starve. I got my job by writing to my now boss and asking for it. It took a while to work out all the details, but I think he appreciated the initiative. My previous wine shop experience was vital, my new boss said he would not have considered me without it. A lot of my job involves working out whether wines represent good enough value to purchase. So I look at a lot of spreadsheets of wine prices! But I am also responsible for writing content about the new wines – for our retail emails, for the website or for special offers. And then the tasting: I taste wine virtually every day. Either in the office (from samples sent by suppliers/producers), in person with those same people visiting me, or I go out to large portfolio tastings, where I taste 100-200 wines at a time, all with the aim of trying to find the best to stock in the shop. Reasonably often I have evening events where I present wines at tastings or at dinners. I also sell wine to some of our more important clients. Working in the buying role helps me know exactly what is coming in and what I can sell to those clients. Combining aesthetic appreciation with a commercial perspective. That means: tasting wines well and identifying quality, then being able to sell those wines to our clients, and then have them come back and tell you how much they love the wine. It’s very rewarding to have people appreciate your judgement in matters of taste! Otherwise: travel to wine regions; opportunity to taste the world’s greatest wines on a regular basis. The hardest part of coming from a PhD background is moving into a corporate environment. It can feel impersonal compared to the very individual work you can do as a PhD student (particularly in the humanities). But of course there are also many benefits to working for a large, well-financed company such as job security and benefits. It’s totally unnecessary! But I do think it has helped me. For instance, I have recently taken (and passed) the Master of Wine exams, which is the highest qualification in the wine world (there are about 380 MWs worldwide). The discipline and self-motivation required to work for two years on that definitely came in part from doing a PhD for three years, where every day could be construed as monotonous: going to the library, reading some pretty abstract stuff and writing a little bit. But it certainly gave me the discipline and study methods to succeed. The other aspect of it is the creative one: I write a lot for the job and after my PhD experience, it’s second nature. The ability to write well in today’s business world is increasingly rare and valued. Also, I think anything requiring appreciation (in my case of wine) borrows from the same skill set used in humanities PhDs – the ability to recognize the distinctiveness and worth of one specific thing within a sea of very similar items. Hopefully I will receive the Master of Wine qualification soon which (rightly or wrongly) brings with it a reputation for knowledge and expertise. So I have to remain committed to learning and gaining experience. Ultimately, the whole field is about serving the consumers who drive the whole industry. An interesting way of posing the question is: how can I best serve people? How can I add value to their (wine) experiences? And that’s where I think we can be creative: using social media, video etc. to inform and engage people. So I’d be interested in exploring those possibilities. Never apply for a job! If it’s advertised, you don’t want it and in any case, there will be too much competition. Your unique skill set should be matched to a unique job – so create it! Figure out who you want to work for and get in contact with them, explaining your particular interest and skills and how you can add value for them. Of particular interest are companies which are expanding/launching new ventures. They will need new staff. Be commercial. There’re very few jobs out there which don’t involve the requirement to make money for your employer in some way. PhDs generally don’t teach that. Employers think that PhDs (especially in the humanities) are ‘dons’ in ivory towers. It’s up to you to prove them wrong. Read everything in the media about the companies you’re interested in; everything about the field you’re interested in. If you do that for a month, you’ll end up learning more about the work than 90% of people who have worked at the company for ten years. Get work experience. It makes employers realise you are serious about their industry. Offer to work for free. If the job involves writing, write for publications for free in order to build your CV. Ask significant people in the field to meet for coffee and talk to them about their experience. Do whatever it takes!